Eumundi, made famous by its popular twice weekly market, is most relaxed when stall holders have packed up for the day. The Figtree is smack bang in the middle of town and has a pleasant relaxed alfresco dining area. The Devonshire Tea is served straight up, and although the cream is quite good, the scones and jam fail to make an impression. Tea: A choice of teabags served in a small tea pot. Located in the heart of Montville, this bustling cafe has more than a little bit of Parisian charm, evoking memories of European cafes. Visually its a pleasant place to hang out with stunning views down to the Sunshine Coast, however can be very noisy on weekends. 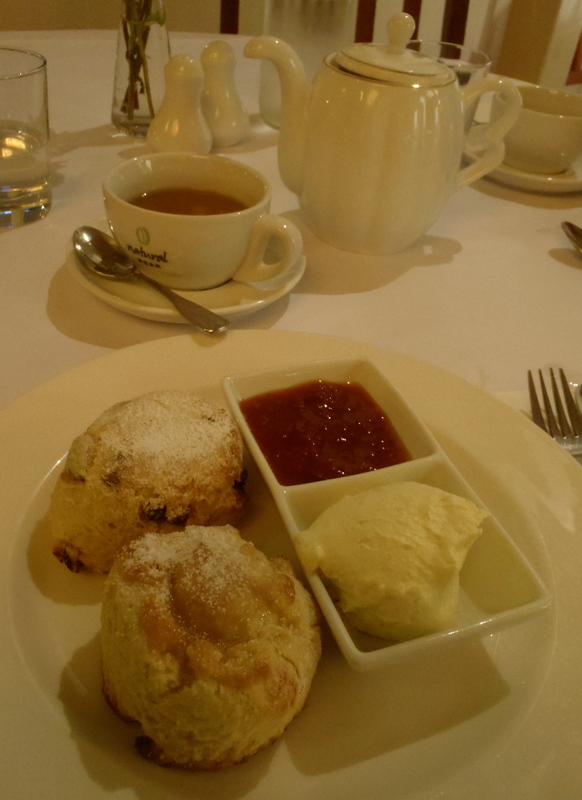 The Devonshire Tea is a big disappointment: the scones are stale, the cream too light, and the jam, well, very ordinary. Tea: A variety of teabags served in a small tea pot. 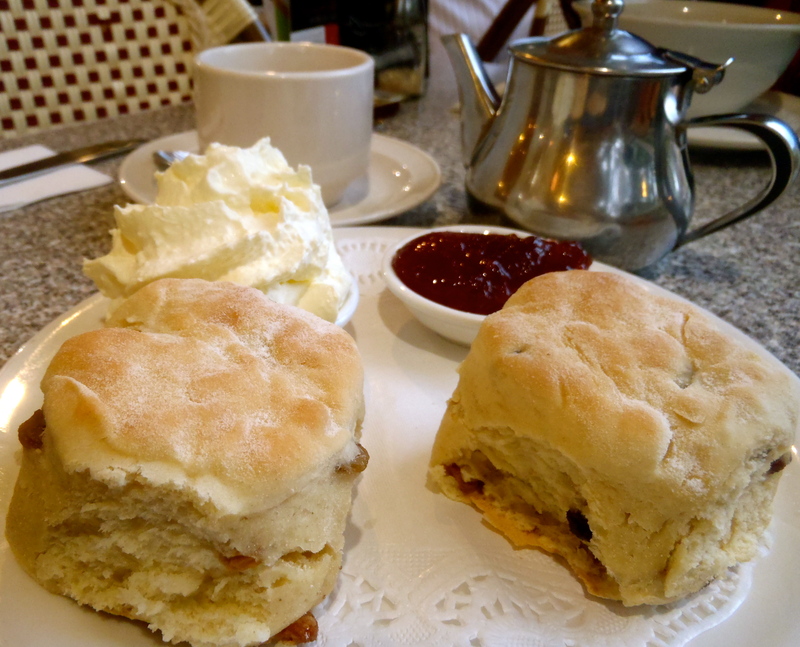 As the saying goes ‘you pay for what you get’, and at Shali’s Cafe, that’s about all their Devonshire Tea is worth. It’s a bakery-come-cafe and you pay and order at the counter. While you are waiting spend time perusing the walls that are covered in ‘meal deals’ and act as the menu. Obviously Indian owned as the menu has a definite Indian cuisine flavour. The small scones had that chewy heated-in-the-microwave texture, but overall were okay. My pet hate, portion controlled jam, had no chance in rescuing the scones and the airy sweet cream was barely enough for one. A word of advice, give the cafes with boards screaming Devonshire Teas a miss. Tea: A small selection of teabags in a pot. Overall: A bakery vibe not worth trying. Montville is a lovely place to spend an afternoon wandering around the shops and sampling the many cafes. Wendy’s Delish Cafe is in a circular building elevated above the footpath. It has indoor and outdoor seating and it’s interior walls are covered with artwork for sale. On offer this day were three flavours of scones: plain, ginger and sultana. I asked for a sultana and a ginger scone, but when it turned up, the sultana scone came without the sultanas. The scones were dry and crumbly, with the plain one still frozen on the inside. Although the ginger scone looked odd and crumbled in my hand, it had an interesting flavour that tasted good. The cream was straight from a can and the jam was one those forgettable varieties. Tea: A few varieties of tea bags served in a small pot. Overall: A pleasant cafe elevated above the mayhem. 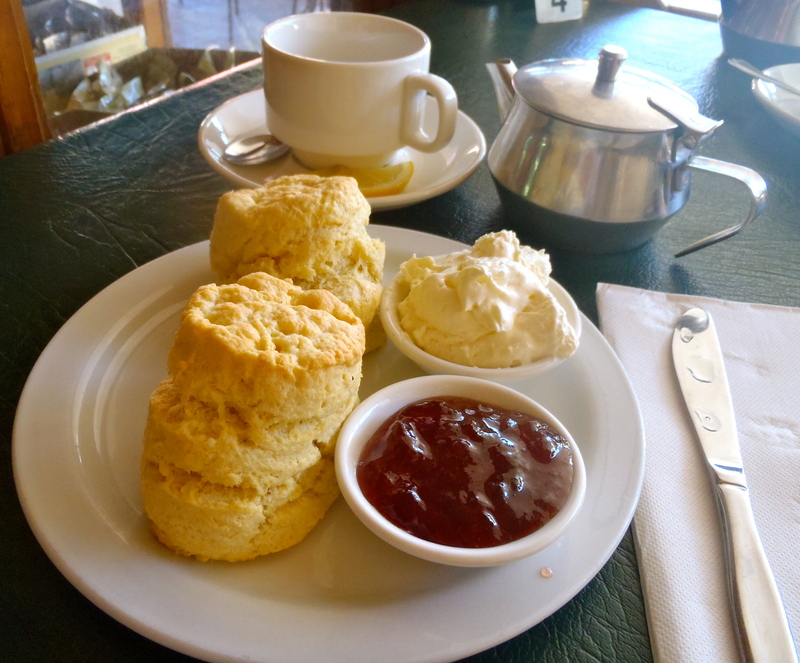 Located in a historic building, the former ‘Fancy Goods & Lolly Shop’, this popular restaurant moonlights as a superb spot for tea and scones. 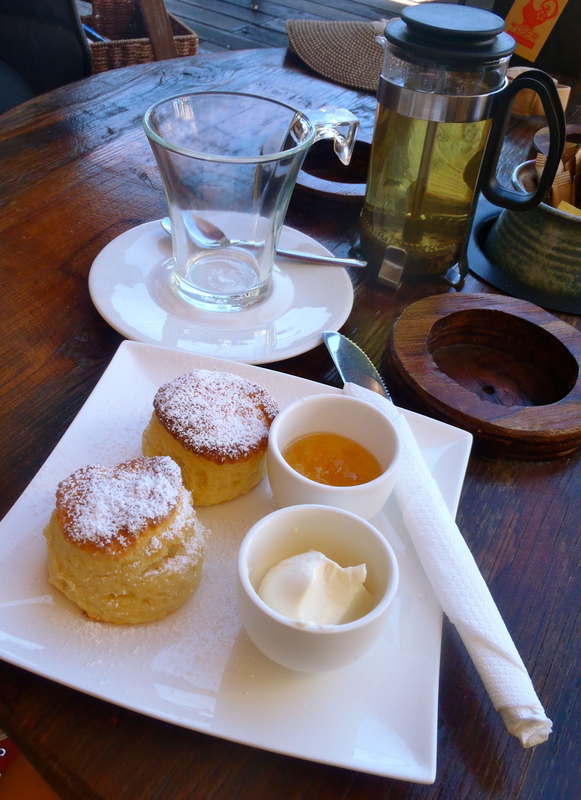 The exceptionally friendly service and cosy ambiance along with the freshly baked scones makes for a divine experience. There’s a selection of sweet and savoury; cranberry and orange, date, fruit and my favourite the delectable Banoffie! Tea: Big pot and great choice. Overall: A must visit – don’t miss it! Catch the ferry from Noosa Heads to Noosa Marina near the historic town of Tewantin. Visit the weekly Sunday markets and stop by Chocol’arte to the Max for their famous Buderim scones and tea, and a browse through the funky gift shop. Apparently by 11am there’s a queue for the freshly baked scones served with Buderim ginger marmalade and super thick cream. Tea: A great variety of loose-leaf teas. 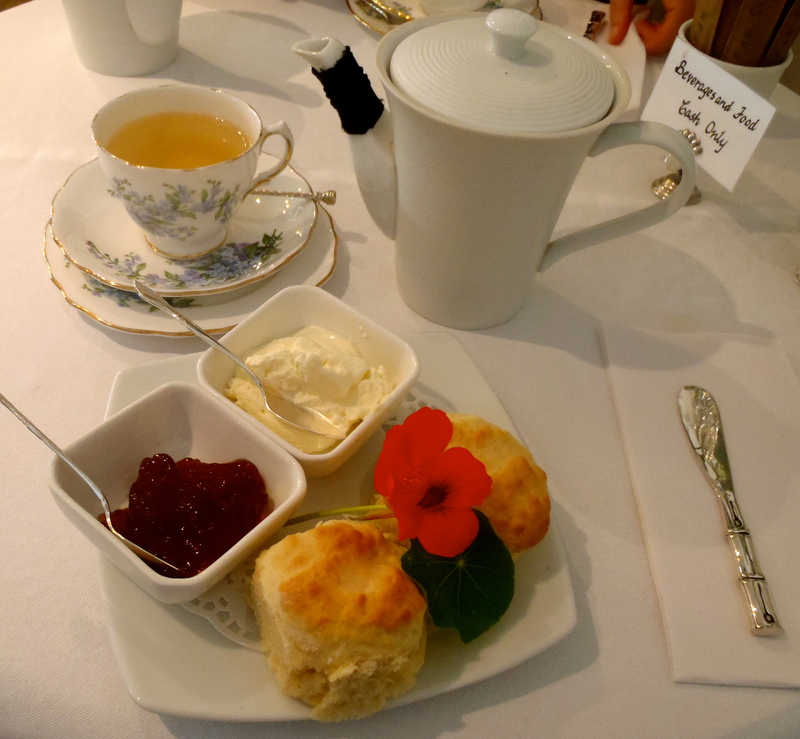 It was while my tasting companion and I were wandering around the shops in Eumundi that we found out about the Two Old Ladies Tea & Gift Shop. Thank goodness we asked, as we would have never known about it. Located down a laneway that feels more light industrial than little old ladies hangout, the non-assuming entrance leads to an intimate tea room with bone china teacups already laid out on tables. It’s as though they are expecting us, it’s so welcoming. The scones are exquisite and the whipped cream a medium thickness. Although the jam doesn’t rock my boat, I’m not overly concerned as everything else is so impressive. They also serve high teas. Tea: Choose from 105 varieties of loose-leaf tea. Will add it to my list for when I next visit the Sunshine Coast! 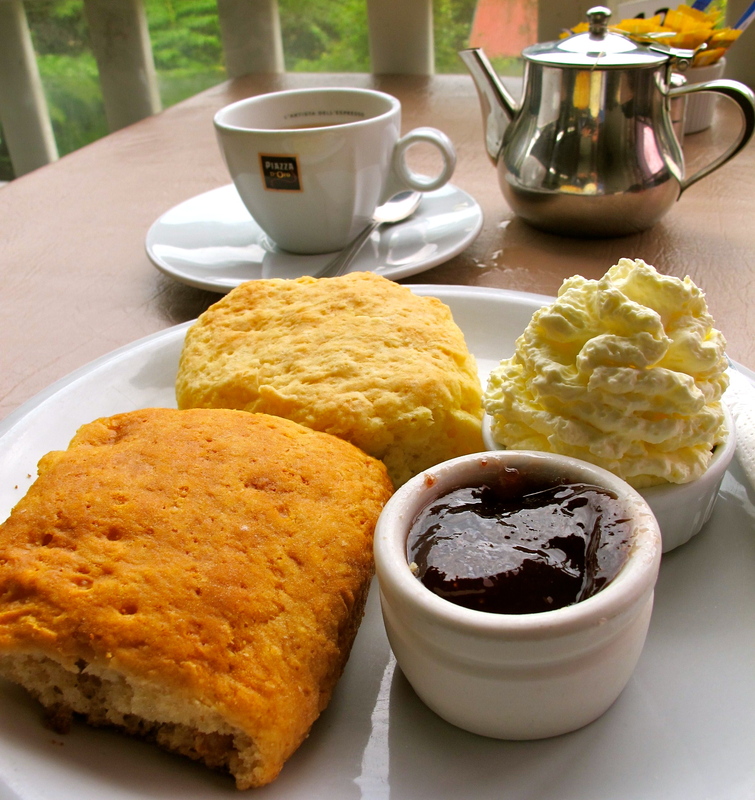 Geordie Lane Antiques & Tea Rooms on the way from Maleny to Montville serves a wonderful Devonshire Tea and the view is beautiful. Thanks for letting me know about Geordie Lane Antiques, I’ll add it to my “to try” list. Aimee Provence scones are delicious, a must try. I’ve added to my ‘must try’ list!